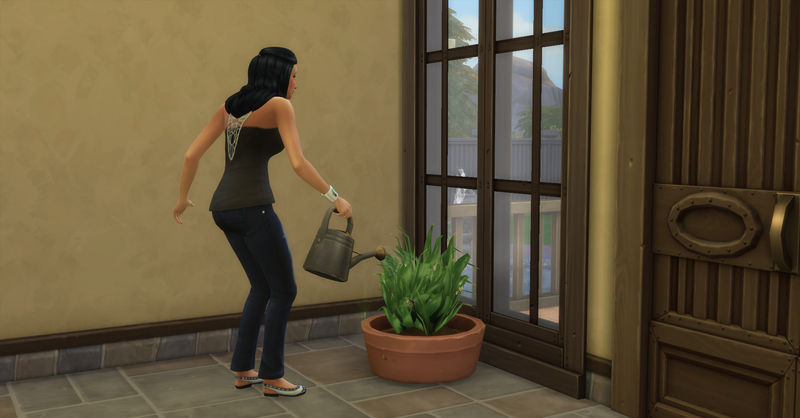 After her shower, Rosabelle tends to the garden. Pawel and Forbes are awake now too. They have breakfast while Fortuna does her extra credit work on the floor for some reason. 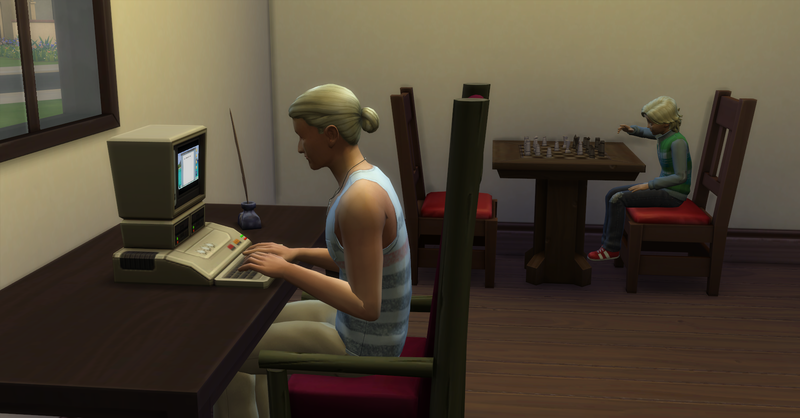 After they eat, Pawel continues to work on his book while Forbes ponders chess moves to be focused for school. Recycling §120, their funds are now §74,991 simoleons. The Kids go to school at 8am, both are going to be studying hard today to try to reach the A level. Pawel finishes the mystery book he was writing called, Blight, it is a bestseller! I submits it to the Literary Digest for review which will earn more royalties for that book. After he starts another mystery called, The Town, to complete his daily work task. 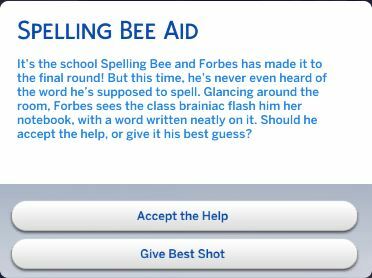 While at school, Forbes is attending the spelling bee. He chooses to accept the help from his friend. 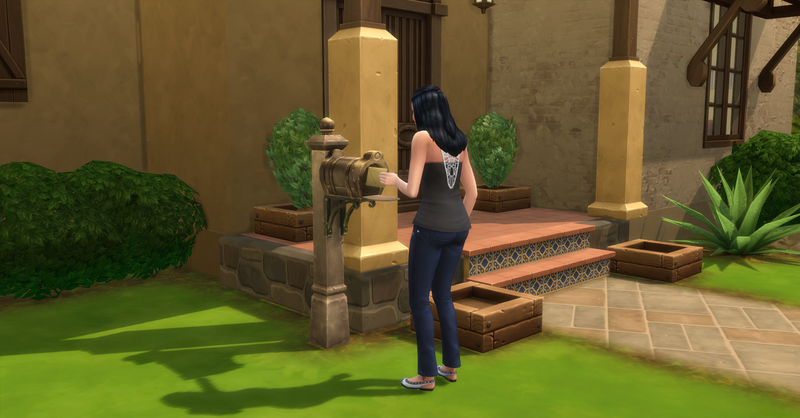 Today’s Royalty Report has arrived, they earned §9114, their funds are now §84,025 simoleons. When Rosabelle is finished gardening, she eats breakfast and watches the news at the same time. Recycling §40, their funds are now §84,065 simoleons. Rosabelle joins Pawel in the office and starts a new mystery called, Get Broke. They also chat a bit while they work on their books. Pawel finishes another book and sends it to the publisher to earn royalties everyday. 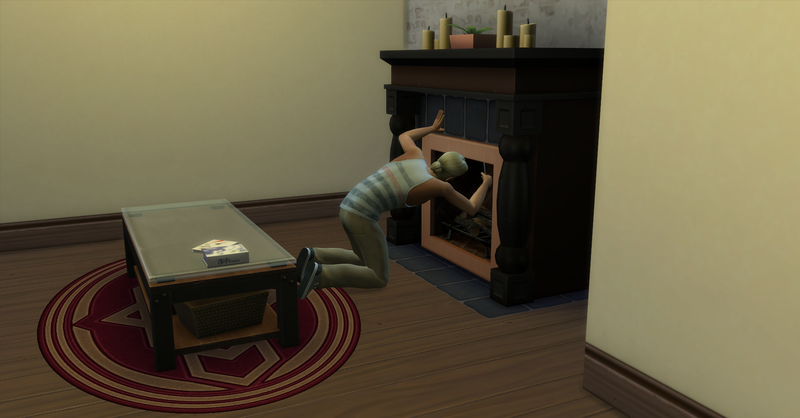 Afterwards, he completes the auto-light upgrade on the living room fireplace. Pawel is very proud of his handiness and completing the job! 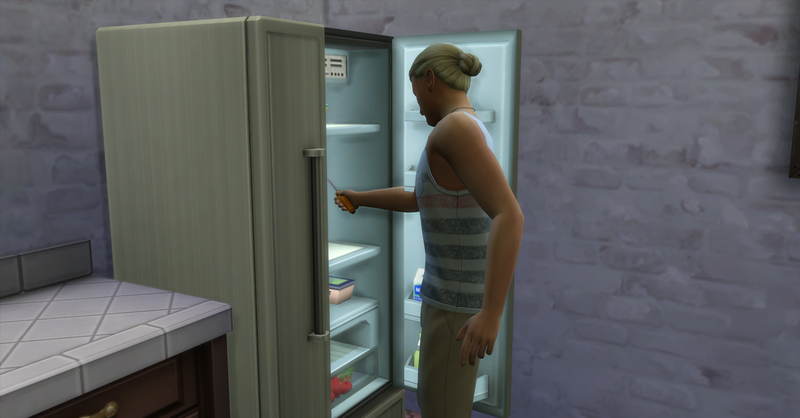 After he finishes the reinforced doors on the fridge to make it break less often. Belle finishes her book too and sends it to the publisher. She then cooks some fish tacos (§10) for dinner tonight. Their funds are now §84,055 simoleons. 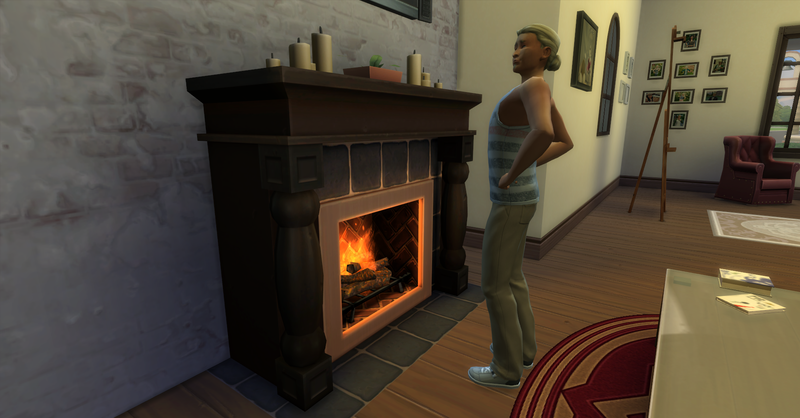 Pawel comes into the kitchen to hangout and chat with Rosabelle while she cooks. 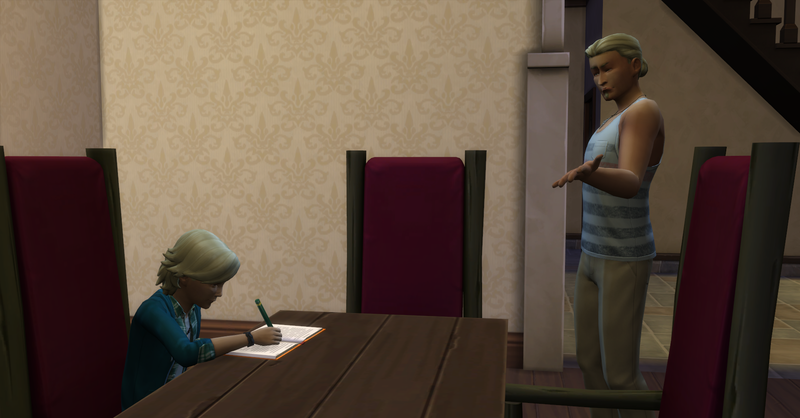 At 3pm the Kids arrive home from school, Forbes has become an A student but unfortunately Fortuna has not quite reached that level. She is feeling very tense from low fun and working so hard at school today. She immediately goes to watch tv for fun when she gets home. 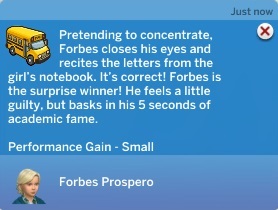 Forbes starts his homework and receives help from Daddy. 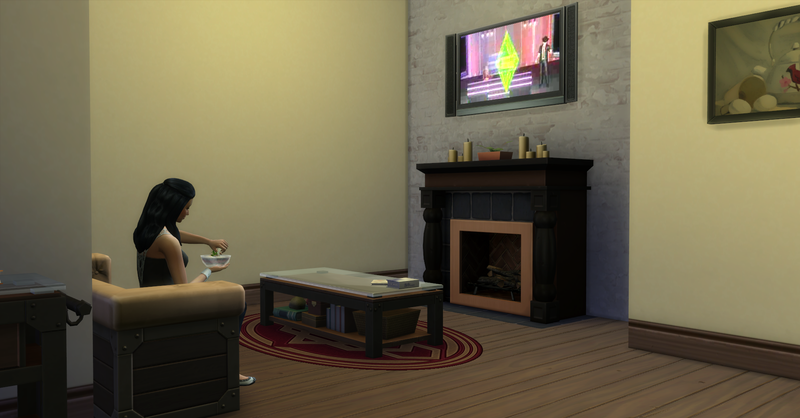 Rosabelle joins Fortuna watching tv after she cooks. Apparently Fortuna can watch tv and play video games on her phone at the same time! When Forbes is finished with his homework, he grabs some tacos and joins the girls. Fortuna is feeling better so she starts her homework for the day. Recycling §40, their funds are now §84,095 simoleons. The computer which Pawel is uses breaks so he repairs it. 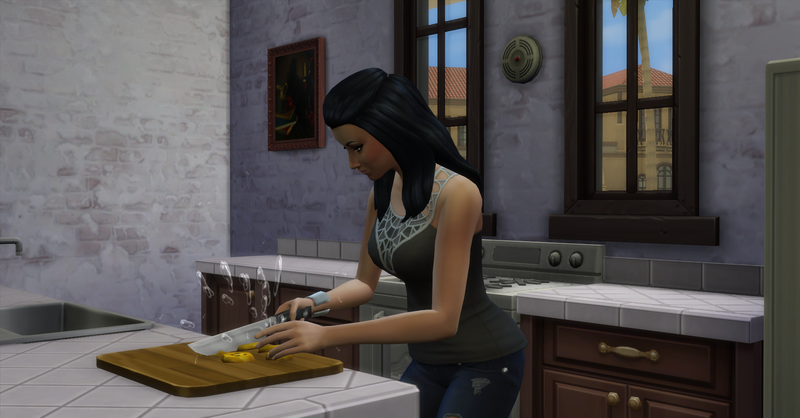 Meanwhile Rosabelle cleans the kitchen up from cooking dinner. 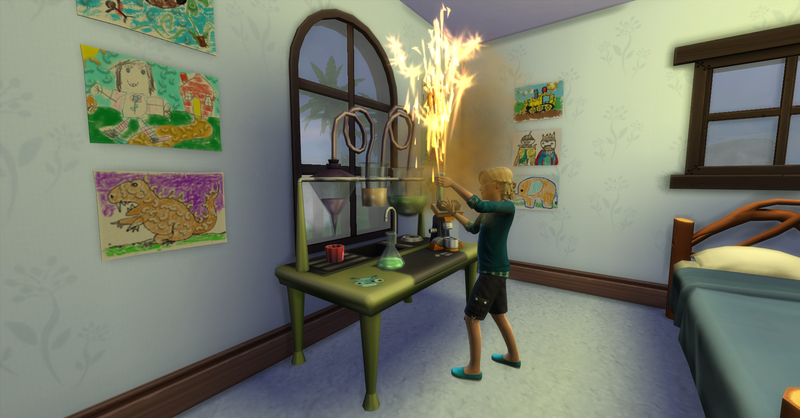 After he finishes dinner, Forbes goes to experiment on the science table for his aspiration. While Forbes is experimenting, Rosabelle, Pawel and Fortuna are eating dinner. Me too! I actually have the most fun when nothing exciting happens and everything work out properly! They really have re-couped their costs for the latest house upgrade so quickly. They are earning more and more money. I know right! They are earning quite a lot from writing and gardening! Soon Fortuna can start contributing more to the household funds.